The 2018 Land Rover Range Rover Evoque reviews are in, and critics are raving about this attractive compact crossover. One of the only vehicles of this kind to offer a convertible option, this Range Rover Evoque is turning heads and taking names all over Beckley, and the experts could not be more pleased. Performance: Drivers can choose from two 2.0L 4-cylinder engines; one that produces 237-hp and another that generates 286-hp, for the level of performance that suits their tastes. Evoque Safety: Driver assistance technology like Traffic Sign Recognition, adaptive cruise control, rearview camera, and blind spot monitoring help keep drivers safe and well-informed. 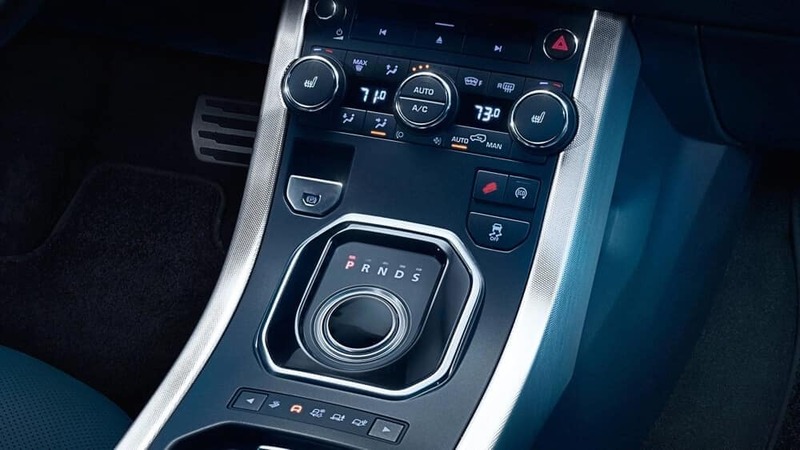 Evoque Technology: Not only do drivers have access to state-of-the-art climate control and audio systems, but the Evoque can also be equipped with an onboard infotainment system that makes hands-free calling a breeze and keeps occupants connected to the content they love. Off-Road Control: Available systems like Terrain Response and Hill Descent Control deliver the additional driving assistance needed in challenging conditions where ample power isn’t enough. Schedule a test drive of the 2018 Land Rover Range Rover Evoque at Land Rover Charleston and see why the critics can’t get enough of this dynamic SUV.